NTSPL Hosting have successfully become an authorized partner of Google Apps for Work. And are currently offering an array of cloud-based services of Google Apps that can help transform business efficiently. Nexus Technoware Solutions Pvt. Ltd (NTSPL) one of the leading web hosting solution providers have extended their services by becoming an authorized partner of GOOGLE APPS PARTNER SERVICE. 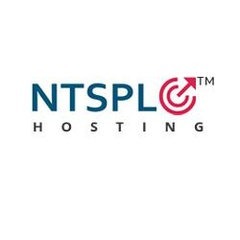 NTSPL have been providing highly consistent, transparent, safe and inexpensive web hosting solutions which are also the latest; to small, medium and corporate business houses. Google Apps or G Suite for business helps businesses by automatically saving everything on cloud. That means documents, calendar, emails and sites can be accessed, edited and monitored from almost any handheld device – anytime & anywhere. It is a complete 360 suite that include essential apps and services that makes handling business with more efficiency. NTSPL hosting being an authorized partner of GOOGLE APPS for business offers exclusive plan schemes for Indian and overseas customers. An Indian Customer can avail a basic plan at just Rs. 150.00 per month whereas an overseas customers can subscribe for Google Apps at Rs. 318.93 per month. The Google Apps plan offered by NTSPL are very effective for managing business and includes features like audit and reporting insights for Drive content and sharing, advanced admin controls, archive all emails sent by the company and easily search and export to different formats. Users can also set message retention policies and place and enforce litigation holds on inboxes. NTSPL Hosting focuses on cloud technology to provide effective assistance and support to their clients from idea to implementation with 100% commitment. Being in the industry from 2007, they have successfully provided large numbers of Google Apps services for customers in the US, India, Middle East and Europe. These operations have included migrations from Microsoft Exchange or Lotus Notes, integration, and more to a complete user friendly Google environment. Apart from Google Apps Nexus Technoware Solution Pvt. Ltd. (NTSPL) also helps businesses to easily avail high standard core services which include domain name registration, email hosting, web hosting, and responsive web design services to increase productivity and performance. Nexus Technoware Solution Private Limited (NTSPL) is the most trusted web hosting firm located in India. NTSPL is a ‘Microsoft Silver Certified’ partner, ISO 9001-2008 Certified Company and STPI Registered firm which specializes in best-in-class Software Development, Web Apps Development, Website Designing, Web Hosting, Corporate Email Solution, and Web Security & Mobile Messaging & Voice Solution.